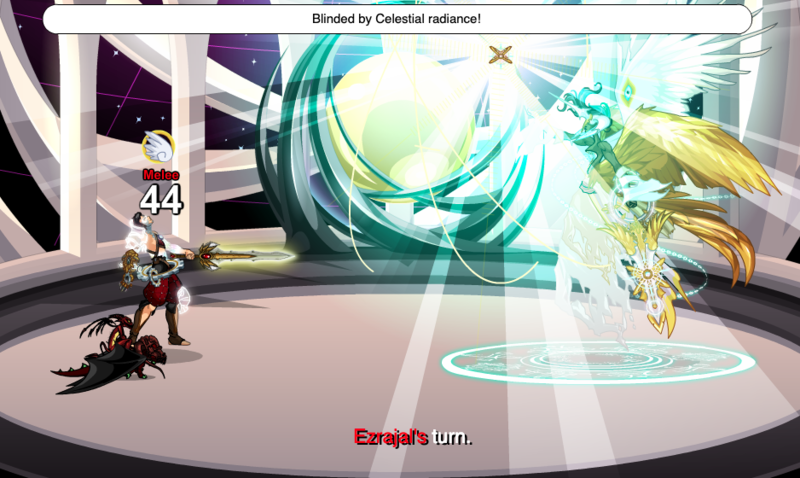 Attack Type 2 - Ezrajal approaches the target and strikes upward with its Celestial blade for 2 hits of 100% Good damage. 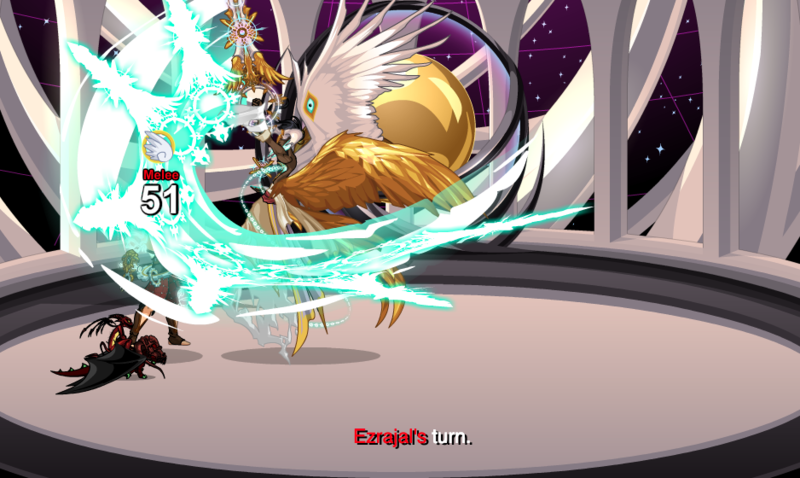 Attack Type 3 - Ezrajal approaches the target and strikes upward with its Celestial blade for 2 hits of 100% Weakness seeking Fear damage. 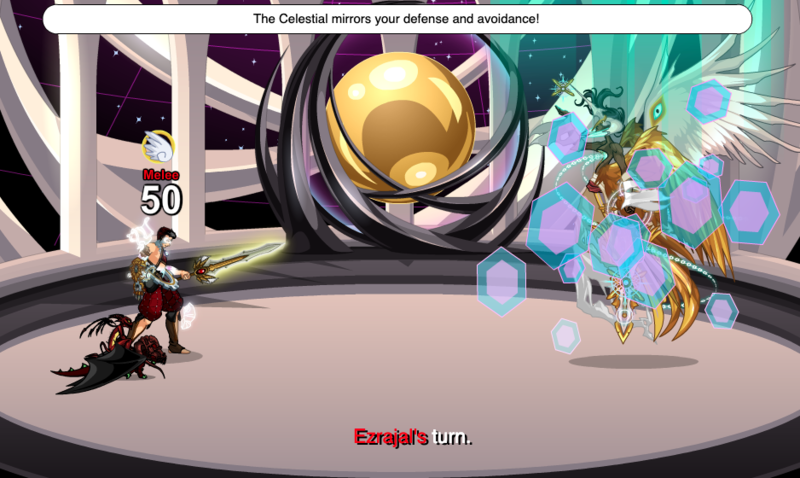 If target had low* Defenses during Attack Type 1, and still has low* Defenses, Ezrajal levitates and summons Celestial blade projectiles, striking the target for 8 hits of 100% Weakness seeking Fear damage. 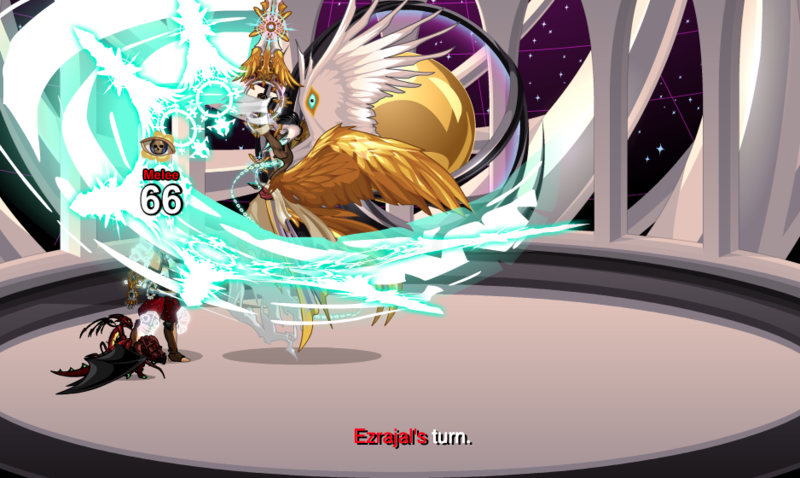 Attack Type 5 - Ezrajal levitates and summons Celestial blade projectiles, striking the target for 8 hits of 100% Good damage. 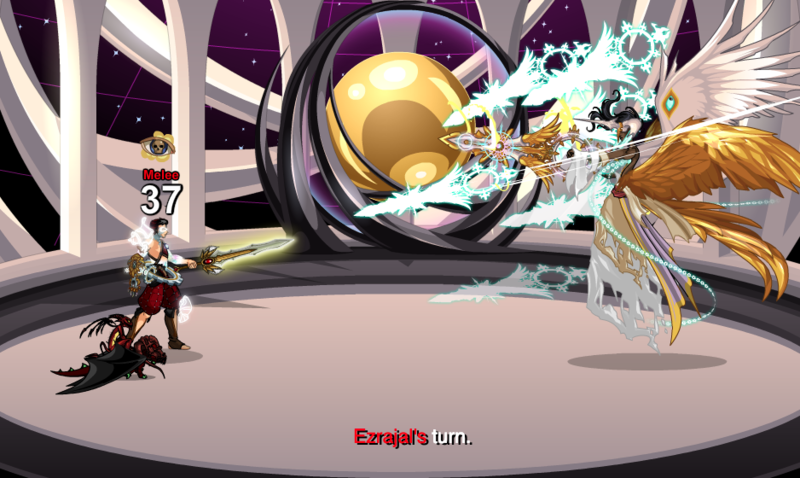 Attack Type 6 - Ezrajal levitates and summons Celestial blade projectiles, striking the target for 8 hits of 100% Weakness seeking Fear damage. 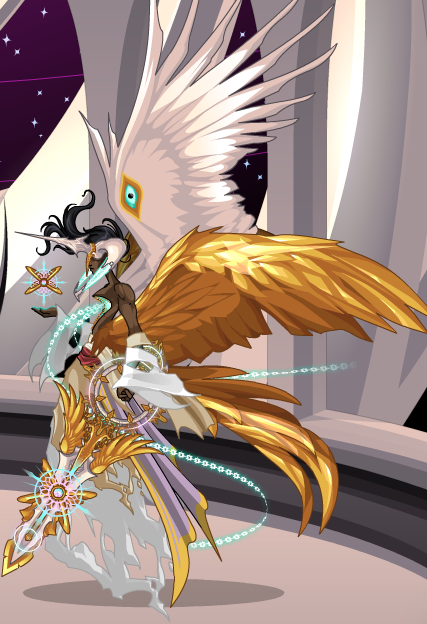 This monster's stats can change based upon the decisions the player makes while ascending the Exaltia Tower. This monster's attacks seek either Magic, Pierce or Melee damage depending on what the target has the least combined avoidance and defense against. #Weakness seeking damage type is currently bugged. *Exact thresholds for these attack rotations to occur are still being tested. Ezrajal follows the skill rotation; Attack Type 1 / 1.1 -> Attack Type 2 -> Attack Type 3 -> Attack Type 4 / 4.1 / 4.2 -> Attack Type 5 -> Attack Type 6 -> Repeat.